« Metabolic Syndrome: What is it and Why Should You Care? 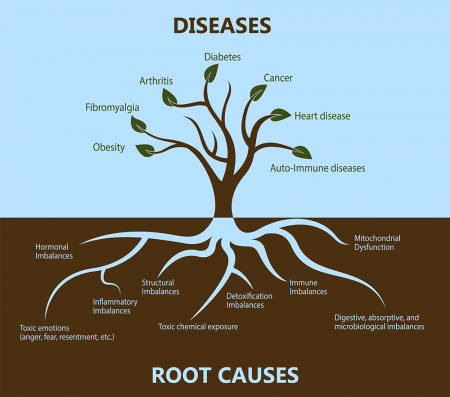 Conventional medicine asks “what”, Functional Medicine asks “why?” to get to the root cause. Your body needs certain things to survive and to function optimally, such as oxygen, amino acids, vitamins, minerals, phytonutrients, antioxidants, fatty acids, and even cholesterol. These important things get into your body through a process called assimilation and digestion. Once they are absorbed, they must be transported, and in order for them to be properly transported, you need structural support for things like holding up blood vessels and organ tissues, and your cardiovascular system uses pressure to move nutrients along. Communication must be working properly in order to send messages through neurotransmitters, hormones, and cytokines. Biotransformation and elimination must be effective in order to rid your body of toxins and metabolites via the liver, gut, kidneys, and microbiome to detox and via the colon, kidneys, and skin to eliminate. Throughout this process, your body also needs to protect itself from pathogens through defense and repair, which is where your immune system comes in to break down and rebuild things like bone, for example. And in order to sustain all these functions, you need energy for your mitochondria (remember the “powerhouse” of the cell?) to work, which means you need to feed it the right food! In the center of these seven things are your mental, emotional, and spiritual states. If any of these are off balance, it can create disease. Functional Medicine looks at the entire body process and what could be causing your symptoms, rather than covering them up with a drug or a “bandaid.” Although certain drugs may be warranted at times, they are not the answer. If you have a leaky faucet, would you rather continue mopping up the water or would you rather just fix the leak? 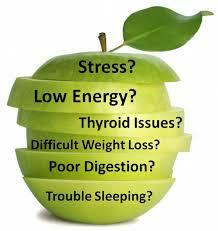 Functional Medicine looks at your body as one entire operating system, rather than multiple different systems. It’s an amazing machine and you have the power to heal yourself. Functional Medicine can help you do that and you will feel supported rather than ignored and chasing your tail. Functional Medicine integrates traditional Western or Conventional medicine practices with integrative means and focuses on prevention through diet, exercise, lab and other testing along with detoxification and stress-management, and drugs and/or supplements when needed. It also takes into consideration the genetic makeup of each individual and factors that affect your body’s ability to function optimally. *If a lab value comes back “normal” but you still feel bad, we consider that and treat accordingly to get you to an optimal level where you are feeling GOOD. “Normal” does not always mean “optimal”! *You will typically get about 30-90 min of one-on-one time and you will really be heard! Everything you have to say matters. *Your plan will be 100% individualized and will not follow a “treat this with that” sort of protocol. What works for you may not work for someone else, and vice versa. It’s about YOU.